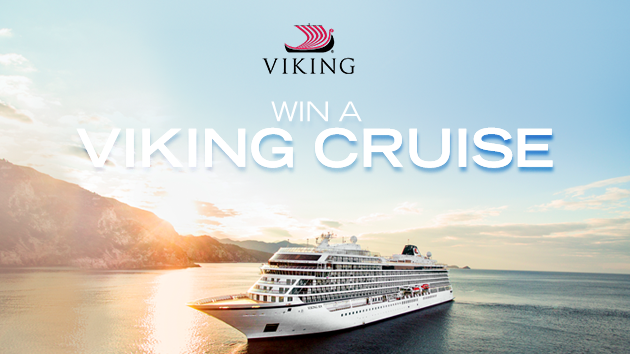 We’re giving you and a friend the chance to win a 15-Day Trade Routes of the Middle Ages Cruise, from Barcelona to Bergen – all thanks to Viking Cruises! You’ll begin your magnificent 15-day Viking ocean cruise in Barcelona, Spain before exploring some of Europe’s most picturesque cities including Porto, Paris, Bruges and Amsterdam. You’ll Immerse yourself in fascinating new cultures, visit iconic historical sites and enjoy delicious local cuisines and wines. Your exciting journey will conclude in the charming Norwegian city of Bergen. o 2 x Return economy flights from winner’s nearest capital city to Europe.